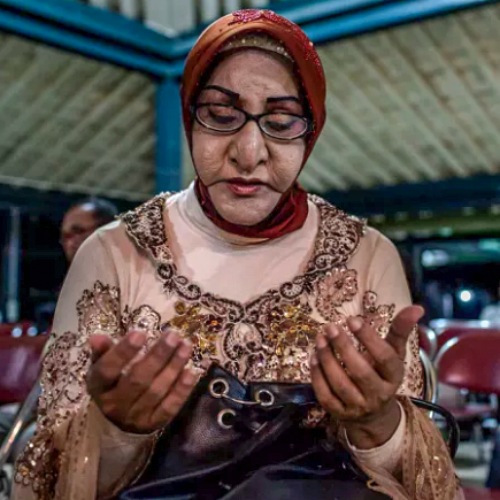 Ibu Shinta, as she is known – Ibu is the Indonesian equivalent of ma’am, or lady – runs Al Fatah, an Islamic boarding school for Indonesian transgender women known as waria. The Yogyakarta community is used to the school, which runs community activities such as the free haircuts. “They accept us,” Shinta said. “We don’t have time to breathe,” an Indonesian activist said. “At that moment, all of Indonesian society had hate issues with LGBT people,” she said. “Life is more difficult for LGBT people,” one Indonesian man, who lives in Jakarta and asked only to be identified as TI, notes. The government’s silence in the face of attacks, or even its participation in them, lent legitimacy to anti-LGBT sentiment sweeping the country, TI said. “It opened the eyes of more LGBT people that they are living in a homophobic society and it has become worse,” TI said. Dede Oetomo, the founder of Indonesia’s first LGBT rights group Gaya Nusantara, told Alturi that LGBT activism in Indonesia was largely underground. “Last year at this time, every day, there was an attack, a verbal attack from this politician or this cleric, and that has actually calmed down,” he said. “But for activists, when we organise an event, it has to be clandestine. Usually what people do is they announce there is going to be a film screening or this or that, but the venue is not mentioned.